High quality, kiln-fired, ceramic ocarina designed to be used as a musical instrument——not just a cheap prop, or plastic toy. Holes: 12 holes Pitch: A4-F6 including sharps and flats Material: Kiln-fired Ceramic Color: Blue, Chocolate, Red and Green, light Blue. Measurements:16 * 10 (CM) length width height of about 4.5cm Notice: 1.Maybe 1-2mm error due to manual measurement. Please make sure you do not mind before you order. 2. Due to the difference Between Different Monitors, The Picture May Not Reflect The Actual Color Of the Item. Thank you ! 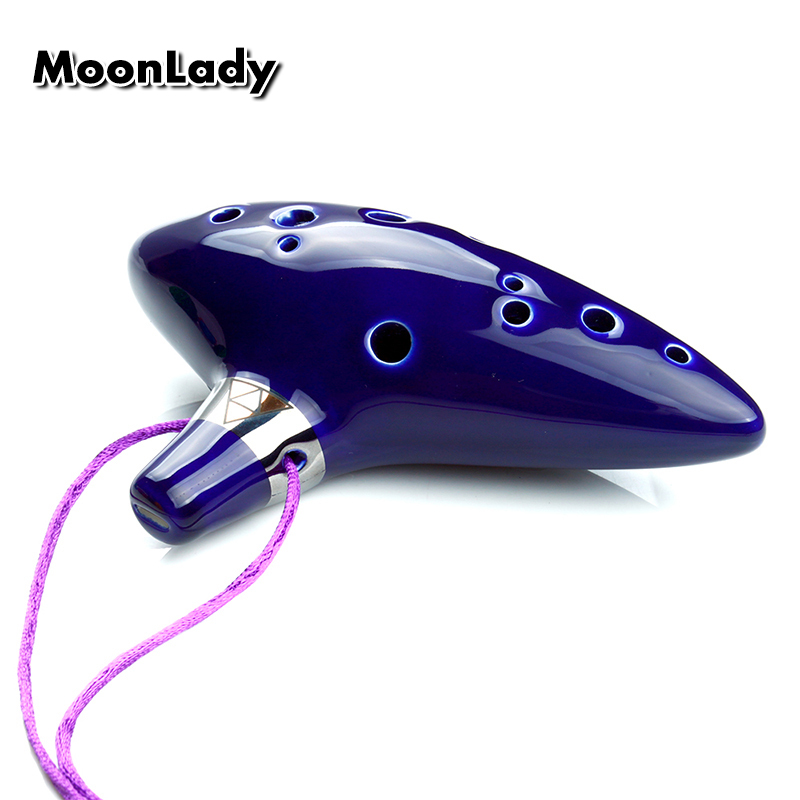 Package includes: 1* Porcelain ocarina 1* Lanyard 1* Instrument If you want the package box, please choose the option “with box”, and leave the color you want, if not, we will send blue ones. If you want the package bag, please choose the option “with bag”, and leave the color you want, if not, we will send blue ones. Our products will be checked tone by professional musician above 4 times before sending out, we will not send the unqualified products to buyers, please feel free to buy, you can get what you pay for!